The Nestle India chief and the man who is often referred to as the consistent crisis manager has already set his sights on doubling the company’s revenue in India over the next 4-5 years, according to two people within the company who asked not to be named. Mr. Narayanan holds a Master’s Degree in Economics from the Delhi School of Economics. He has a Diploma from the IMD Program for Executive Development and has participated in the Nestlé Leadership Program of the London Business School. He has over 30 years of rich and exhaustive experience in the FMCG Industry and has held senior management and top leadership roles in leading global companies. Mr. Narayanan began his career as a management trainee with Hindustan Unilever, where he held numerous positions of increasing responsibility in Sales, Marketing and General Management. He has also worked with Colgate Palmolive in India. He was the Chairman and CEO of Nestlé Philippines prior to joining Nestlé India as Managing Director. Mr. Narayanan joined Nestlé in 1999 as Executive Vice President for Sales in India, where he spearheaded major structural and strategic changes in Sales and Customer Management and set up the chilled dairy business. He moved to Nestlé Indochina in 2003, as Executive Director for Sales, Marketing and Food-Services, covering the countries of Thailand, Cambodia, Myanmar, Laos and Vietnam. Two years later in 2005, he returned to India as Head of Sales for India, Sri Lanka, Bangladesh and Nepal. 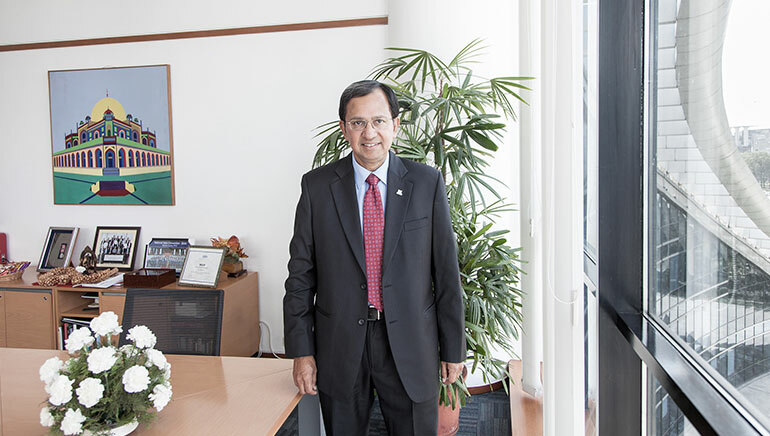 In 2008, Mr. Narayanan was appointed as Managing Director of Nestlé Singapore Pte. Ltd., and remained there until 2010. During his time the overall business in Singapore witnessed sustained growth amidst the economic downturn. He was awarded the Medal of Commendation by the Government of Singapore in 2010, for excellence in employee relations. He moved to Nestlé Egypt as Chairman and CEO and Head of NEAR, where his initiatives resulted in significant business growth and investments despite the turbulence and volatility faced by the region at this time. There is no greater moment to kick start an organization than post a crisis. If crisis is looked at positively, it is the greatest opportunity to recalibrate, redefine, reenergize, and refocus you. This was the belief which helped Suresh Narayanan in raising the brand equity once again after the controversy of Maggi. He took over the credentials of the brand after government laboratories claimed to have found high lead content in the noodles, and the popular snack was subsequently ordered removed from stores in many states in June 2015. His strategic planning and hard-work have successfully reclaimed company’s leadership in the instant noodles market with more than 50% market share because of his massive contribution.